Start at the beginning and jump in, make a change! You have a routine in your house. It probably looks something like this: the children come home from school, they have a snack of milk and cookies, play, have dinner, do homework, watch television then go to bed. It’s easy for a routine like this to become a ritual that doesn’t change, but reconsider this: a change in routine is possible. Children often spend many hours doing quiet and generally passive types of activities like reading, watching television and direct their attention to other contemplative activities. There’s an opportunity to step out of your comfort zone and do something more; balance these passive activities with physical activity – that’s right – MOVE! Engaging both the passive and active parts of a child’s experience creates a more balanced all-encompassing life experience. Exercise fuels the brain with oxygen. Eating nutritious food and drinking sufficiently is important too. Make healthy choices and create healthy habits to support the beneficial outcome you want … that includes physical activity. 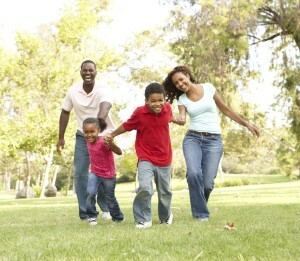 Do your part, Get Moovin’ & Groovin’ with your kids, this type of activity benefits the whole family. A child’s life changes for the better when they’re involved in another playmates activity or others get involved in their activity. 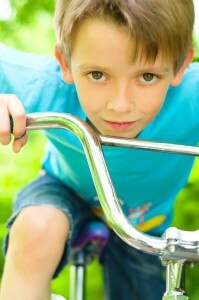 Through these experiences they experience acceptance and socialization. Additionally, physical play improves fitness, strength, endurance and balance. The same part of the brain that processes movement also processes learning. The physical activity boosts cognition making learning easier. At the same time the children are building muscles and strengthening their bodies. Their coordination improves and as an added bonus they burn energy that makes them tired and hungry, the results: the child sleeps and eat better too. It’s up to you to set the stage. This is not about what your child can’t do – this is about untapped potential and the child’s accomplishments. Focus on what your child can do and expand upon it. This is what you’re exploring together. Children often follow by example, so it’s important that the parent is comfortable with physical activity and expresses pleasure in the shared activities. 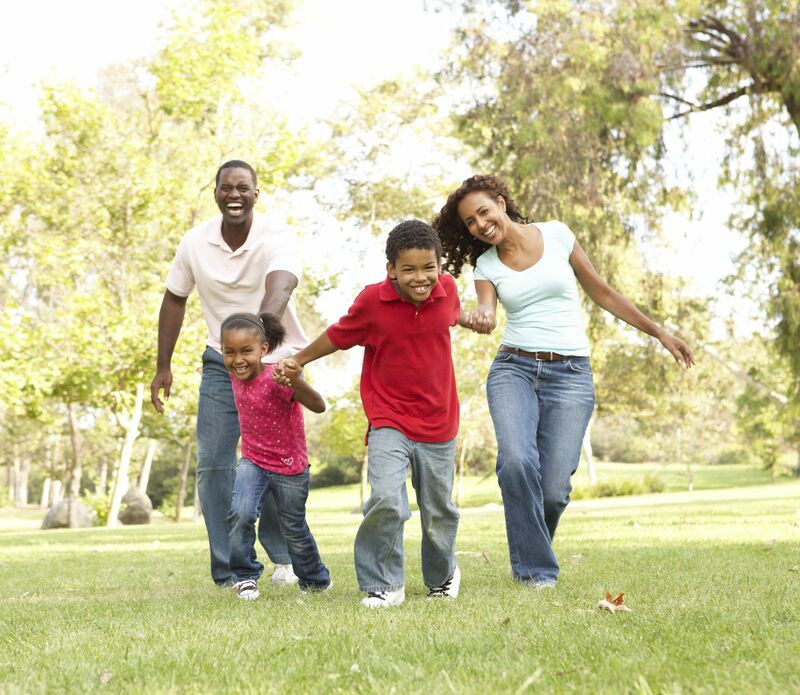 Go to a park or a playground with your child or take the whole family, you’ll have access to more space for different kinds of activities and the possibilities expand. Children develop good feelings about themselves as they learn to control their actions and their bodies. They learn through their experience. As an added bonus their vocabulary changes to include new action words that describes their experience. Choosing a variety of activities with your child keeps your child involved. Do some of these activities with your child and watch how your child responds. Ideas that Offer More Options: An outdoor environment offers more possibilities for these stimulating activities which include, Jumping, Jumping on a bed, Jumping Jacks, Jump Rope, Skating, Swinging, Spinning, Rolling, Running in place, across a field or on the beach – barefoot in the sand, Hopping, Throwing, Crawling, Catching, Pushing, Pulling, Climbing monkey bars, See-sawing, Dancing, Walking in your neighborhood, Hiking in nature, Cutting, Sawing, Pounding, Stretching, Balancing or a simply walk a straight line. Walking backwards with the child gives everyone involved a unique experience. Create an obstacle course and describe the objective. Encourage the child or children to experiment instead of telling them what to do. 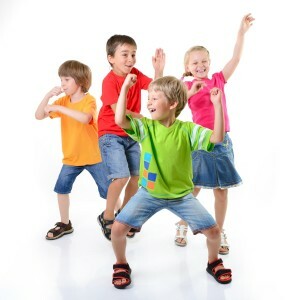 Children usually enjoy these activities especially if you do them together. When possible, music in the background makes the activities more enjoyable. Okay, consider passing on the parents jumping on the bed – maybe you have access to a trampoline. Consider a broad scope of possibilities with each activity. Daily physical education works in tandem with educational learning. Physical activity prepares the brain to respond to challenges. The child develops quicker responses, better motor fitness and remembers more. You may notice the child has less stress and more ease of movement too. The children challenge their own strength and learn about what they are physically capable of doing. The child develops skills that shift their attention from one task to another. This builds confidence. Consider the opportunities that may arise from development of physical strength and stamina such as teams to join, contests and races. There are rewards for taking action. A parent connecting with their child in more diverse ways, enjoys the experience and learns that it’s a win-win situation with rewards for everyone, not just the for the child. The child learns that the parent approves and that they are capable of doing physical things independently. The obvious reward is to get to have another physically active experience. This is new repetitive physical activity. When you take an action and repetitively get a reward for what you’ve done, your behavior naturally changes. Act on your impulse … act now …MOVE!!! Linda Berman is a writer, speaker and consultant. She brings rich life experience and deep insight to address topics related to individual growth, relationships, parenting, and family life. Danger for Boys Who Play With Dolls?